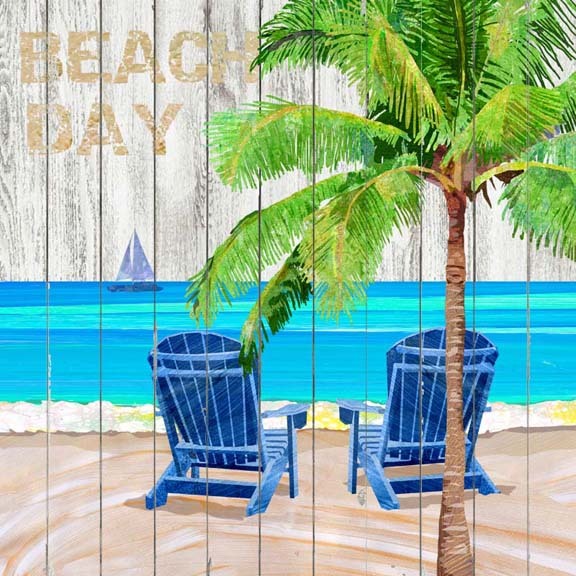 Beach Day Wall Art-The design with the exception of the textured wood background is created entirely from painted textures created by Noah who is Autistic. His mother Patti has collaged them together to create the image of adirondack chairs beneath a palm at the beach. All are on a distressed sun bleached wood. No Frame is needed as the image is mirrored on the 1″1/2″ sides all around.